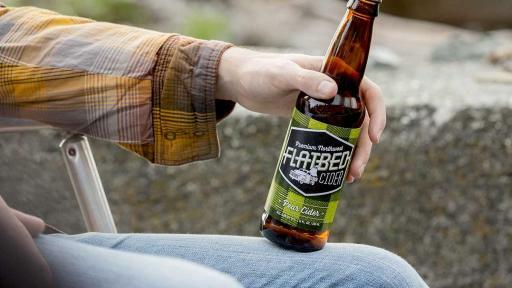 Launched in January, Flatbed Cider Co. (www.flatbedcider.com) offers consumers an all-new craft cider made from the apples that made the Northwest famous around the world. The company’s two offerings, a Crisp Apple Cider and a Pear Cider are now available at restaurants and retailers throughout Washington State and Oregon. While various hard ciders have been produced in the U.S. since the repeal of prohibition, the Northwest has recently become the epicenter of a craft cider revolution. Since 2012, cider’s popularity has grown more than 60 percent each year, with the strongest growth happening in Washington State and Oregon¹. 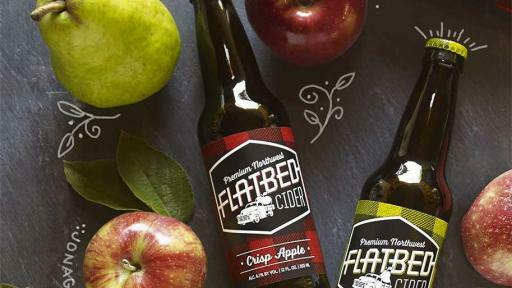 Flatbed ferments its hard ciders from local, whole-pressed apples—rather than the apple juice concentrate used by many brands—and limits the time from branch to bottle to minimize oxidation and maximize Flatbed’s bright, rustic apple character. 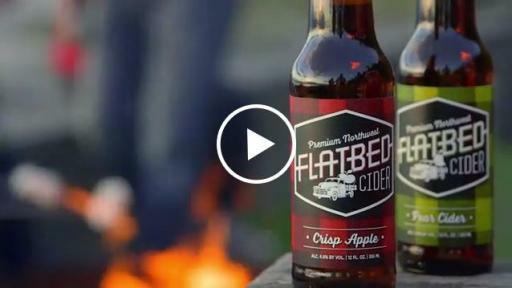 Flatbed’s Crisp Apple Cider has a drier taste profile than most widely-available ciders in the U.S. Flatbed Crisp Apple Cider is all-natural, with no added sugar or artificial ingredients and is naturally gluten-free. 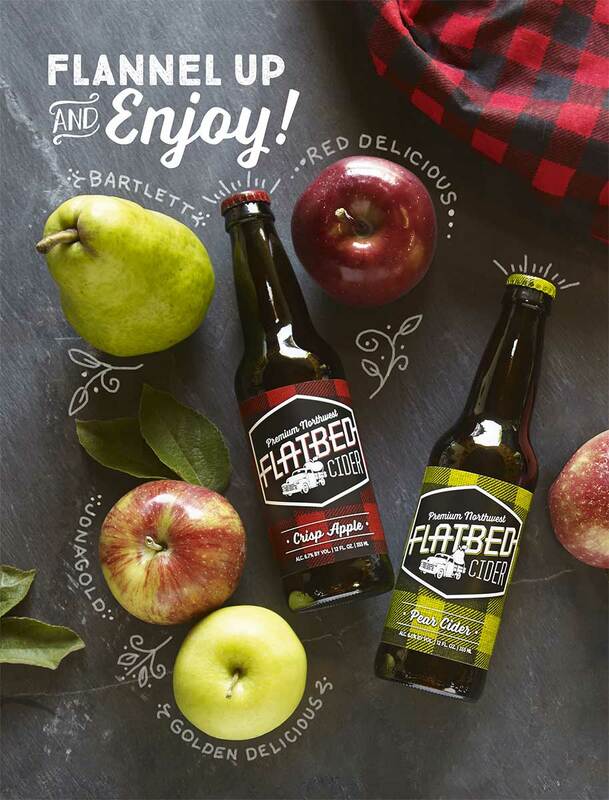 Jonagold apples picked at their peak deliver the balance and acidity behind Flatbed’s exceptionally bright taste while Red Delicious apples provide tannin structure. Golden Delicious apples add a rustic apple character with a twist of subtle sweetness. 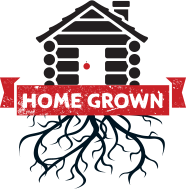 And, heirloom varietals like Newtown Pippins and Gravensteins—which are hand-selected from batch-to-batch—add bucolic Northwest charm to the blend. 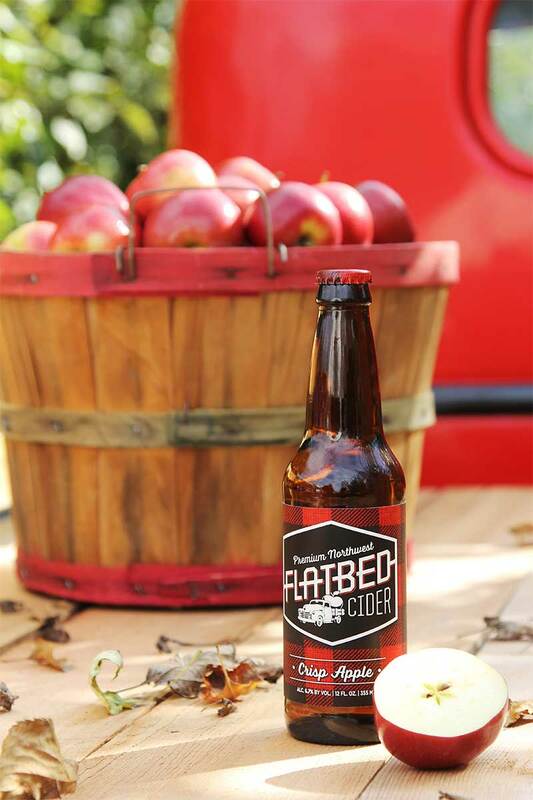 Thanks to its bright acidity and drier flavor profile, Flatbed’s Crisp Apple Cider pairs with nearly anything that comes from the sea, farm or food cart. The Crisp Apple Cider is currently available in a 6-pack of 12-ounce bottles with an SRP of $10.99. 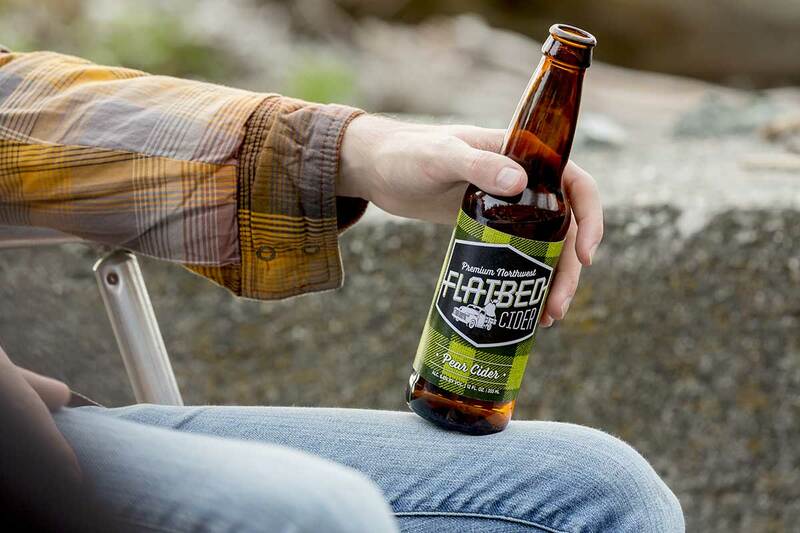 Flatbed’s Pear Cider features Northwest-grown Bartlett pears for a burst of crisp, sparkling refreshment with a clean finish. 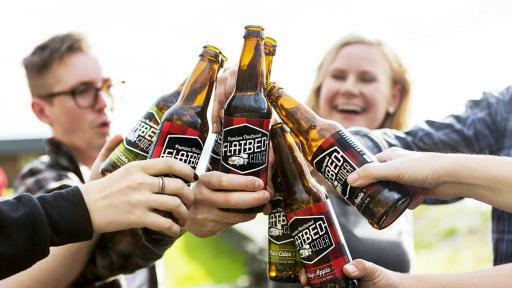 Naturally sweeter than its Crisp Apple cousin (but not too sweet), Flatbed Pear Cider is the perfect choice for taming spicy foods and classing up a donut. The Pear Cider is currently available in a 6-pack of 12-ounce bottles with an SRP of $10.99. 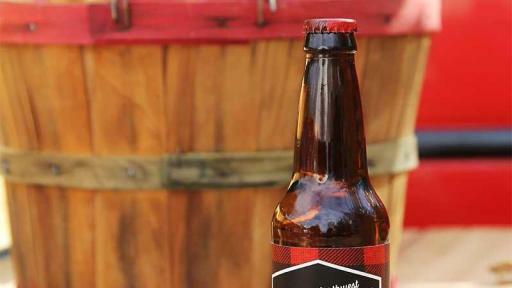 The brand’s craft approach creates a unique, uncommonly balanced cider style. 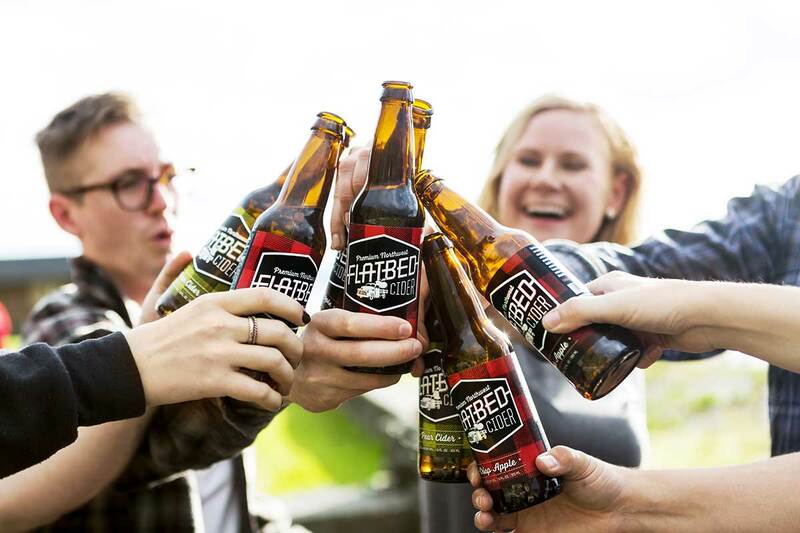 Flatbed uses Champagne yeast, which allows the fruit to shine and delivers a clean finish. The brand’s taglines, “Northwest of Normal” and “Flannel Up and Enjoy,” pay homage to the Northwest’s tenacious spirit and plucky independence. 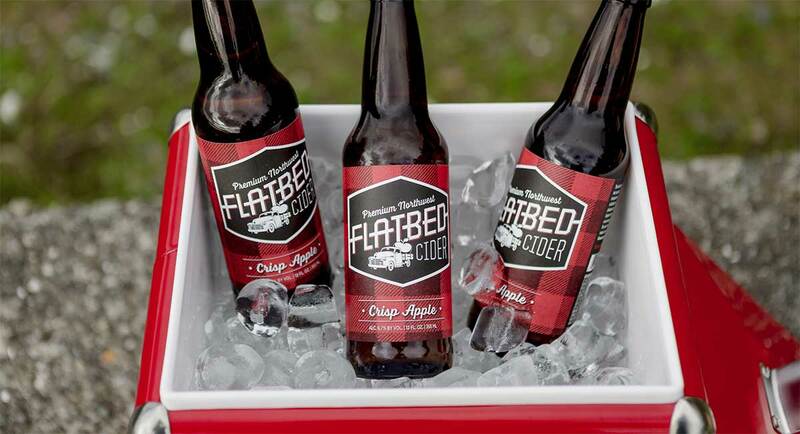 Flatbed Cider is distributed throughout Washington and Oregon by Ste. Michelle Wine Estates. 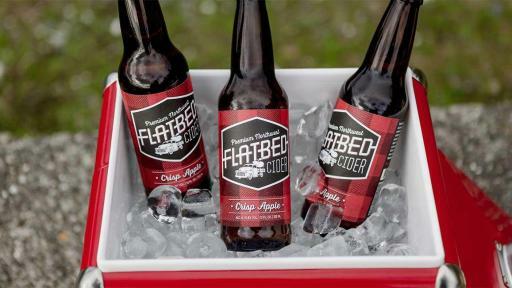 To learn more, visit www.flatbedcider.com. ¹ Source: Beer Institute, TTB and Commerce Department 2014.